WEMBLEY, MAY 1968. Even the flintiest man can cry. As Bobby Charlton clasps his boss tightly, his etiquette and decorum melt away. It is impossible to appreciate the cathartic nature of the moment entirely, but the grimace of relief etched across Manchester United’s number 9 is both palpable and haunting. By now, England’s record goalscorer has only a few wisps of fair hair to cover his balding head, and even less youthful exuberance to cover the torture and joy that is battling inside him. 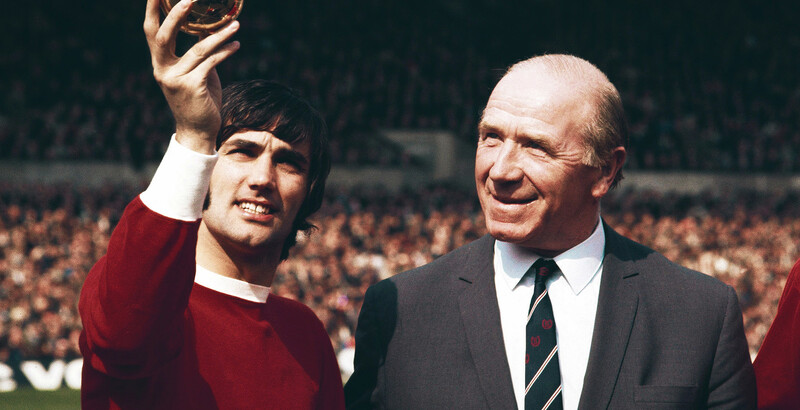 Matt Busby, the seemingly immovable rock at the heart of the club, the rigidly catholic and warmly compassionate Scotsman, reciprocates the emotional outpouring from his captain. Finally, a glorious vindication of an entire lifetime has been achieved; but even still, it is not complete. Manchester United have just conquered the mighty Eusébio and his flamboyant Benfica 4-1 to claim the ultimate prize of all for the first time, more than a decade after first campaigning for it. The insular arrogance of the then Football League chairman Alan Hardaker threatened to derail the pioneering project before it began as he tried to block their entry into Europe in 1956, just as he had done to Chelsea the year before. He hadn’t foreseen the incredible vision and single-mindedness of Busby, however. That name is Duncan Edwards. Belgrade, February 1958. With the away goals rule still the best part of a decade away, a 2-1 lead from the home leg is still a slender advantage to protect as the red-chested man-beasts strode out confidently onto the icy pitch in Yugoslavia. Immaculate, impressive, and confident: this is the epitome of what they should be, the realisation of their enormous potential, unafraid of anything life could throw at them. Still, it doesn’t hurt the others to see the colossal thighs and Adonis chest of their talismanic left-half bulging through his kit. As Edwards puffs his chest out further while they wait for kick-off, a calm descends on the team that takes its lead from the man from Dudley. Now is not the time for one of Jimmy Murphy’s legendary tub-thumping team talks to pump their adrenalin through their veins; now is time to focus intently. They needn’t have worried. Dennis Viollet silences the raucous crowd after only two minutes before a swift double from Charlton sends them into the break 5-1 up on aggregate. The high spirits soon seep away after the break though, as Red Star Belgrade hit back with three of their own inside 13 minutes of the second period, but the Mancunians hold on to book a second consecutive European semi final. This is an age when air travel is a luxury, when a flight to Europe is still a dash into the unknown for many, when daring to compete against continental teams is revolutionary, not mundane. 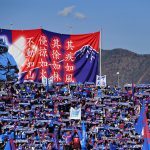 The youthful side celebrate at the post-match banquet in their hotel, with renditions of Ilkla Moor Baht’at from David Pegg to serenade their bemused hosts. For a born leader on the pitch, Edwards is more retiring off it, and rises a wry smile at the impetuous cockiness of his more outgoing teammates. Most of the players have packed apples and tins of beans for fear of having to eat unrecognisable food, but for all they care they could be eating worms and mud. They are the pioneers who flew in the face of authority to inspire millions, and they feel untouchable, invincible even. Manchester, the next day. Whistling a cheery tune without a care in the world, Jimmy Murphy swans into his office at Old Trafford feeling on top of the world. In his dual role as coach at United and manager of the Welsh national side, he has the luxury of getting stuck into wholesome hard work on the training ground, but also of guiding his wonderfully gifted countrymen. His team of youngsters, his children that he has nurtured from wide-eyed frail kids to men brimming with pride, are on their way back from their latest glorious victory in Europe, but Murphy couldn’t travel with them. The consolation is that thanks to his commitments with Wales, he has overseen a World Cup playoff victory against Israel at Ninian Park on the same day, and all is well in his world. Except it isn’t. Alma George, the club secretary, hasn’t said a word, and it is only now that Murphy sees her distraught expression. She pulls herself together just enough to mumble the news that nobody could have prepared for: the boys have been involved in a horrific plane crash, and we’re not even sure how many are alive. Over a decade of living and breathing every step of their development has been cruelly taken from him in a simple sentence. As the garrulous Welshman slumps into his chair, a blizzard of confusion clouds his face as for once he hasn’t a word to utter. When he comes round from his hazy stupor, plans are hastily made to get straight out to Munich to assess the situation of the squad and the boss. Suddenly the most joyous club in the land is smothered by a dark cloud. In a world of social media, tablets and those dreadful selfie sticks, it is hard to imagine crouching around an old wireless set for a brief headline for news, but that is what most of the country did in over the next few days. No instant notifications here; twice a day for over a fortnight, families huddled around to catch the BBC radio announcements from Dr. Georg Maurer of Munich Rechts der Isar hospital. Many rushed to the newsstand to pick up the evening editions, for the latest news about the horrific disaster at Munich Riem airport which had been carrying the buccaneering Manchester United side back home. One chilling Manchester Evening News headline simply read: “Matt 50-50; Edwards ‘Grave’; Berry Coma”. 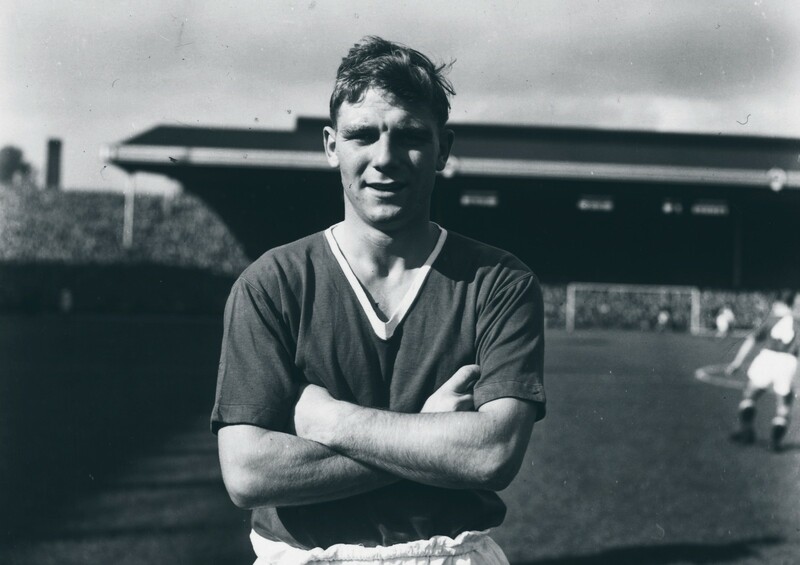 Each day seemed to tell a different angle on the story of the fight for survival, but Duncan Edwards’ battle to overcome chronic kidney damage, crushed lungs and broken limbs shook the nation – here was a colossus who was not even near his prime, and yet strode across pitches as if he not just belonged, but deserved to take control. In one famous FA Youth Cup fixture away to Chelsea, Murphy had instructed his charges not to pass too much to Edwards for fear of depending on the man-child too much; after struggling to a 1-0 deficit at half time, he simply gave in and said, “Alright, just give it to Duncan”. Forty-five minutes later he was vindicated as Edwards, revelling in being at the centre of the match again, inspired his side to another final in the competition. For someone as immovable and awe-inspiring as this, it seemed unthinkable that he could perish. The catastrophe was grim; the privately chartered Elizabethan twin-engine plane had failed to take off after two failed attempts, and had crashed disastrously into houses off the end of the runway, shredding the fuselage open and spilling its cargo across the snow. In the panic, survivors crawled to safety while attending to the unconscious Busby and desperately trying to help others, but Edwards had fared worst than most whose lives had not already been claimed. Ultimately, after defying all medical logic, his fortnight of struggle came to an end, and the country mourned. But how had a 21-year-old come to capture the hearts and minds of so many? What made him so special? It’s time to dip further back, into his childhood in the Midlands town of Dudley, to catch a glimpse of what created the man. It is often said that Duncan Edwards was a giant who towered above his team-mates. ‘Barrel-chested’ and ‘thighs like tree trunks’ are phrases often used to describe him, but it is perhaps a little misleading – he was only five foot 11 inch. This is what says the most about the man, that despite an only above-average height, his aura and conditioning made him seem greater than the sum of his parts. When he was born, however, the portents were there that he would go on to become an impressive human being. Annie and Gladstone Edwards welcomed Duncan into the world in October 1936 at the astonishing weight of 9lbs 8oz, which was just as well given the living conditions in the coal and iron producing town of Dudley at that time. The overhang of the Great Depression still affected most of the industrial world, and frail children had a much slimmer chance of surviving typhoid, pneumonia and other conditions. The priory estate that the Edwards family moved to after his birth was relatively luxurious in that they had a front and back garden, indoor bathroom and toilet and a well-built home, although his simple but respectable parents ensured that Duncan never took on a sense of being better than others. Dudley Zoo opened the year after he was born, but for a physically developed child there was always going to be one pursuit that stood out ahead of the others: football. Within a few years he was playing with children who were much older than he was, and it was inevitable that he would begin to represent his local school at a higher age category. Scouting networks in those days relied largely on a system of word and mouth, but even with this rudimentary web of information his reputation was spreading like wildfire. As much as his ability and physical presence, it was the transformation from the humble, shy boy to a whole different beast on the pitch that struck many. When he moved to Wolverhampton Street Secondary School at eleven, he immediately made an impression on the football coach in his first game, a certain Mr Groves. “He dominated the whole match. He told all the other players what to do, and the referee and both linesman. The young Edwards was never afraid to go into a tackle; he had legs and thighs already like oak trees, and yet he was so amazingly light on his feet.” This balance may have had something to do with the fact that Edwards had also taken up the less macho pursuits of Morris and sword dancing, gaining high praise from the arts and folk teacher Mrs Cook, who said he was “so light on those feet with bells on the ankles; so beautifully balanced, so dainty”. There was nothing dainty about his style of play on the pitch. Still not a teenager, his mature physique was backed up by an extraordinarily self-confident mentality. His ability and willingness to take on any challenge, no matter how tough, was all about bettering himself, never about humiliating opponents for the sake of it. Even throughout his many battles he maintained the manners and honesty his parents had taught him. “Admittedly he had a big mouth, coming from a rough background, but I do not think anyone ever took exception as his advice, like his play, was so impressive. He had quietened down considerably by the time he reached 14,” Mr Groves continued. Later in his career, when he was lining up alongside Newcastle United’s legendary striker Jackie Milburn, he leaned over and said: “I’m a big follower of your career, but reputations mean nothing to me, and if I get a word out of you I’ll kick you over the stand. Ok chief?” To say that to any fellow professional would be unthinkable, but to do so in the face of such an established star at such a precocious age was bordering on the arrogant – except Edwards was not a bragger. He backed up any claim he made on the pitch, and that was where it was left as far as he was concerned. Back in Dudley, he was starting to get noticed further afield. First for Dudley schoolboys, where his cousin Dennis Stevens was captain and his team-mates were three years older than him, then Worcester County, and the Birmingham and District side, Edwards sailed through the age groups, all the while competing with older children but still dominating games. In 1950, he was invited to play for the England under-14s against Northern Ireland at Boundary Park, where he was selected up front. His schoolmates would tease him good-naturedly when he was selected for each further side, ruffling his hair as he cowered, embarrassed at his fame amongst his peers. At school he had written an essay about his dreams, and he told his teacher about walking out at Wembley to represent his country. It didn’t take long for him to achieve this, as soon enough, along with future team-mate David Pegg, he was moved up an age group and was selected for the under-15 international against Wales at the Empire stadium in front of over 50,000 people. Such a crowd would seem incredible nowadays, but in an era without regular televised football, a chance to see the finest youngsters the country had to offer was too good to miss for many. His fame would never remain in the classroom or the playground though. At that time, Wolverhampton Wanderers were one of the best clubs in the country, with England captain Billy Wright and the mythical Stan Cullis as manager. A series of glamorous friendlies under floodlights against the likes of Spartak Moscow, the legendary Honvéd of Ferenc Puskás and Sándor Kocsis, Racing Club from Buenos Aires and others enhanced the allure of Edwards’ local club. By the time he had become a teenager, people were talking about where he would ply his trade professionally, and it seemed a logical choice that he would opt for the gold and black shirts at Molineaux. Bolton Wanderers made a valiant bid to sign him in 1952 when head scout Frank Pickford made the journey to Dudley to meet the family in person, and invited Duncan to Burnden Park to see the facilities and meet England’s ‘Lion of Vienna’ Nat Lofthouse. Dennis Stevens had even signed a recent contract there, so the family connection made Wanderers very confident of securing the most sought-after signature in schoolboy football. Edwards returned on the train deep in thought, but still not entirely swayed. But there was another team vying for his affections. Perhaps it was the stunning comeback from 2-1 down to thrash Sir Stanley Matthews’ Blackpool 4-2 in the 1948 FA Cup final, or the flair for which they were renowned, most likely it was the verve and vigour with which the youth team were beginning to send ripples through British football, but Manchester United appealed to him. Edwards was as much as anything a student of the game, and the nurturing environment of United grabbed him. With others circling, a late night dash by Murphy and coach Bert Whalley was required to obtain the signature of a man – and at this stage it is hard to call him a child – they’d been watching closely for four years. Settling in to the Manchester United family was easier said than done for Edwards. Despite moving up to Manchester with his Birmingham and England schoolboys team-mate, goalkeeper Gordon Clayton, and being placed in a house with David Pegg, alongside whom he’d represented his country, the boisterous nature of the other youngsters overshadowed this shy Black Country 16-year-old. He mumbled his way through the introductions and sat in awe as his future youth team colleagues laughed and joked as if nothing mattered in the world. They had been on a pre-season tour of America when Edwards arrived in Manchester, whereas a trip to Blackpool with his former Worcester County coach George Meddings for a training course was the most exotic trip he’d ever made. Busby was famous for never rushing his promising young stars into first team action before they were ready. 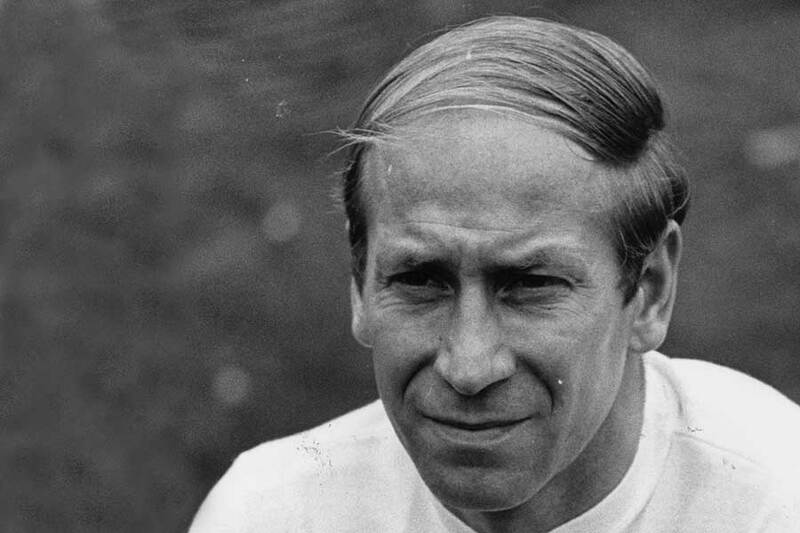 Bobby Charlton had to wait three years after joining as a 15-year-old for his debut, but despite being only one year older, Edwards only waited till the end of his first season to make his first team debut. Setting the record as the youngest player to appear in the Football League at 16 years and 185 days old, he instantly fitted in to the first team, although he was made to wait a while for a regular slot. The beauty of the system at Manchester United was the depth of youth teams that prepared players for the step up to the first team. The Manchester United Junior Athletic Club (MUJAC) had a junior, colt and ‘A’ team, all graded against appropriate age-specific opposition, after which prospects graduated to the reserves, and finally the hallowed ground of Old Trafford itself and the first team. 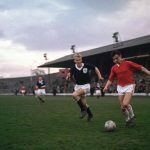 Well, hallowed is perhaps not the best word for the appearance of the surface – even for one of the country’s biggest and most celebrated clubs, the pitch was as desperate as most – but the aura that Murphy and Busby created around what it meant to step foot on it on a Saturday afternoon certainly merited the word. As his progress was carefully managed, it became clear that it would be a battle to restrain Edwards from the first team, but the youth side was often used as a haven when he needed a boost in confidence or to recover from an injury, as he played his part in the first three of Manchester United’s five consecutive FA Youth Cup wins. In 1955, when he was already an established first team player and full England international, he was recalled to the side as a centre forward, causing great consternation for the opposing West Bromwich Albion. Busby’s retort was simple: “he is eligible by age to play, so I’m not breaking any rules”. For many players in a similar position, being asked to return to the youth team when you have tasted the higher levels would be seen as a demotion. To Edwards, it was simply a chance to play with his mates in utter harmony, and he relished it. This natural hunger to just play football endeared him to many, and coupled with his freakish ability and magnetic demeanour, installed him as the darling of Old Trafford. The atmosphere of growing through the system, along with the perks of free cinema tickets and days out playing snooker at Davyhulme Golf Club, meant that the group was special. The leader was without question Duncan Edwards. Despite his discomfort with the paraphernalia surrounding his career, his pure hunger for playing never dimmed. In 1955 he was called up for national service, and along with Bobby Charlton was stationed in near Shrewsbury, where they were allowed to play for the army side while also turning out for Manchester United at weekends. That season, Edwards appeared in almost 100 matches combined between United, the army and England. Having met a bright 19-year-old Molly Leech, who teased him gently about his accent and his shyness but made him feel completely at ease, all was well in his world. Now that England had been conquered, an assault on Europe was due. At the end of the first season of his national service, Edwards, along with his youth team colleagues, had stormed to the championship by 11 points (in the days of two points for a win) remaining unbeaten at home in the league, and Busby was ecstatic that he would have the chance to test his prodigies against the finest opposition in Europe. He had long been an advocate of expanding the horizons of British football, and despite being partially vindicated in his stance by Hungary’s 6-3 demolition of England in 1953, many held wildly contrasting views. Chief of those was Alan Hardaker. The Football League secretary, effectively the boss of English clubs, had prevented Chelsea from entering the inaugural European Cup the previous season. This was a man who referred to foreigners as “wops” and couldn’t understand what was to be learned from competing against them. Busby held firm, and the adventure began. Anderlecht were the first official opponents, and were swept away by a still-club record 10-0 second leg victory, before Borussia Dortmund were edged out 3-2 on aggregate. In January 1957, a trip to Bilbao on a completely frozen pitch made for virtually impossible conditions, but a valiant 5-3 defeat provided just enough ammunition for a stirring late aggregate winner from Johnny Berry in the return at Maine Road, where United temporarily played as Old Trafford didn’t yet have floodlights. The flight from Bilbao had been particularly bumpy and gave a number of United players a dislike for flying, despite the glamour and prestige attached to such a method of travelling. Against Dortmund, the German fans had remembered Edwards from an England B international three years earlier, where he had been christened “Boom-Boom” in honour of his monstrous shooting power. In his final ever match in Belgrade a year later, one shot from Edwards was so powerful that he burst the pig’s bladder from its leather casing as the awestruck Yugoslavians watched on, mesmerised by the power of this young Englishman. Even without the mass media of today, word of Edwards’ phenomenal power and skill had spread across the continent. In the semi-finals, the Real Madrid of Raymond Kopa and the great Alfredo Di Stéfano were too much for a still young and inexperienced United, but the bug had well and truly been caught. “United had just caused a stir by beating Bolton 7-2, and everyone was talking about Duncan Edwards,” he reminisced. “So I persuaded my dad to come with me to Highbury to see United play Arsenal. It was an unusual trip for two committed Spurs fans, and a day that I will never forget. It took Duncan Edwards ten minutes to show what all the fuss was about … he opened the scoring with a cracking shot. We had travelled in to see him … and he had me turning to my dad with a ‘Did you see that?’ look. There were eight more goals in a fantastic match, but Duncan’s, and his overall performance, are all I really remember. A team of ‘bouncing Busby Babes’, the Flowers of Manchester, torn to shreds and brutally, mercilessly taken from everyone, and at the forefront, Big Dunc. It wasn’t just that he was so young, or that he represented England’s great hope – it is said Walter Winterbottom’s side would have been favourites in Sweden that summer with Edwards alongside Tommy Taylor and David Pegg. Nor was it his swagger; it was his humanity, his enormous personality, and his kind touch that connected him to so many. So long, chief – it was great while it lasted.